Are you looking for Bee Control in NJ? 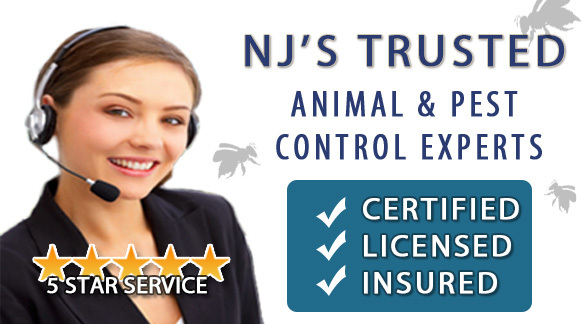 ALCO Animal & Pest Control offers prompt, professional and safe Bee Control in NJ since 1995 for many satisfied clients. Whether it is residential or commercial Bee Control , ALCO Animal & Pest Control will solve your Bee problem in no time. Our trained and experienced NJ Bee Control technicians are qualified to handle a variety of Bee situations and can rest assure to restore your normal life, keep you, your children, or your employees safe and keep you in line with state and local animal laws. 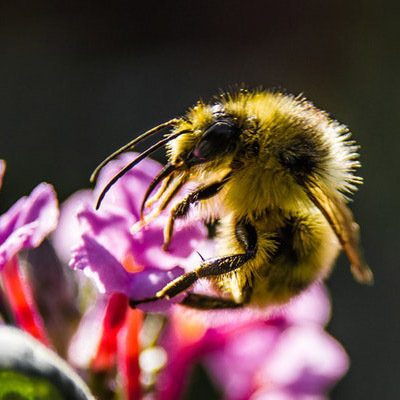 ALCO Animal & Pest Control uses environmentally friendly Bee Control products as well as humane Bee Control methods to keep you and your children safe while performing the Bee Control job. Our knowledgeable pest technician will answer any questions you may have and explain to you every detail you need or want to know about the job. We are always friendly and we are here to help. Depending on the region you find them, honey bees differ in color. Most commonly, you will see a honey bee that has black stripes alternating with bands of amber to brown hairs. Still, some honey bees can look almost all black. Honey bees measure around one-half to three-fourths of an inch. Honeybees tend to get in directly through a nearby window, a stove vent, a bathroom vent, a dryer vent, gaps, cracks, and holes in the walls or skylight. You wonï¿½t necessarily see them inside a fireplace. Bees are attracted to sunlight, so they will naturally gravitate towards the windows. While bees can provide us with important resources such as wax and honey, they can also prove to be a serious health hazard to you and your children. These insects can become serious problems that chase away visitors from swimming pool, snack bars, picnic areas, amusement parks or many other outdoor places. Not only is their sting powerful, but in some people it causes allergic reactions that can send children and adults alike to the emergency room in serious conditions. A honeybee infestation is a different type of pest problem. While honeybees are beneficial to the environment, they can create health risks and structural damage when nesting inside roof eaves or the voids of a wall. Honeybees are generally docile when they do not have a nest to protect, but once a honeycomb is established they can be easily provoked and attack from a slight vibration or sound. That is why it is important to remove a honeybee infestation as quickly as possible before they can build honeycombs. Not only because bees can be more aggressive at this point but also because large amounts of honeycomb can eventually soak into the drywall and attract a secondary infestation. Secondary pest infestations can be from ants, rodents or even bed bugs.